A comic-book fan and aspiring artist sees the super in the everyday in Marriott’s new show. Aaron Thielen and Michael Mahler’s new musical, Hero, is inspired by superhero comic books and the fanatics who love them. But don’t go to the Marriott Theatre expecting the overblown stunts and special effects of, say, Spider-Man: Turn Off the Dark. “Nobody’s going to fly in the show. There’s no dancing ensemble of superheroes,” says Thielen, the Marriott’s coartistic director. He conceived the story of Hero Batowski, a twentysomething aspiring comic-book artist still living at home and working at his dad Al’s comics shop. 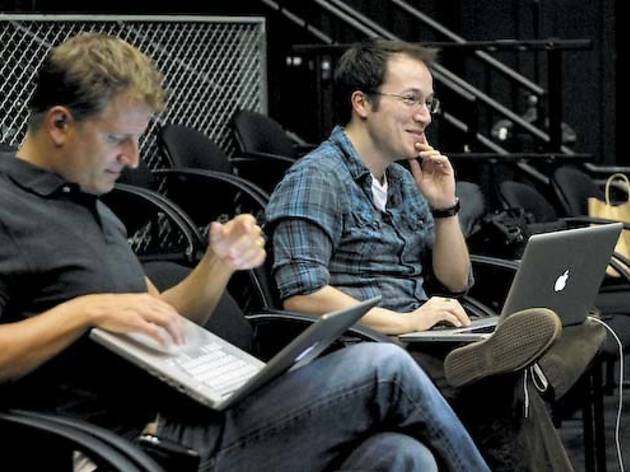 Thielen and Mahler have honed the show through a number of developmental workshops, including a 2010 reading for 600 Marriott subscribers and another last year as part of Northwestern’s American Music Theatre Project. Thielen acknowledges that Mahler’s music is “a different sound” than the more traditional musical-theater scores his subscriber base is used to hearing. “I think this is the kind of show we’ve never done, with a band that’s really a rock band,” he says. But Mahler argues that in many ways, Hero is a very traditional musical. 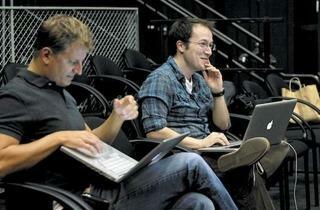 “When people say they hate musicals or musical theater, I think it’s because they don’t like bad musicals. I don’t either, y’know?” he says, laughing. Hero takes flight Jun 20–Aug 19 at the Marriott Theatre in Lincolnshire.